Kathy Anderson works as a full time Civil Clerk at the Mahaska County Sheriff’s Office. With her passion for reading she is always looking for a good book. As a self -taught editor, she’s been editing everything she reads since she was very young. As a lover of prose in any form with the knowledge of how words express so much when written with care she aspires to help others be the very best writer they can be. Kathy loves making connections with authors, along those that support authors, and does so by attending as many book signings as possible—collecting autographed copies of each book. She’s a dedicated supporter and blogger for all things “book” related. 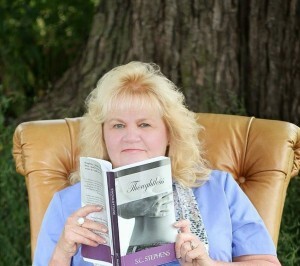 Kathy Anderson is co-founder of Klassy Editing and Writing Services and will be editing and beta reading/reviewing. Matti Snook is a Customer Service Manager at a major department store, an author and a freelance writer. He’s always had a passion for reading and writing. 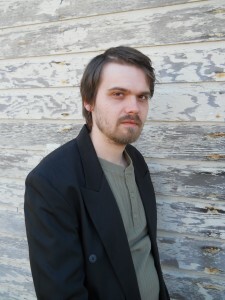 Currently working on finishing his Freelance Writing Degree with Penn Foster, he released his debut novel in June of 2010 entitled “The Hybrid Saga: The Coven” by Old Line Publishing; it’s short run ending in September of 2012. The novel will soon be reworked and released under the title “Half-Blood” with Planettopia Publishing, The first five chapters are available to read for free on Harper Collins website Authonomy. Matti’s Sophmore novel “Gypsy”, the first book in The High Priestess Series was released by Planettopia Publishing in December of 2013. “Half-Blood” and “Witch” the second book in The High Priestess Series will be released in 2014. Matti is co-founder of Klassy Editing and Writing Services and will be doing editing, formatting and blurb writing. Books, language, and literature have always been Jasmine Fuller’s passions, and she would love nothing more than to help your manuscript become a masterpiece. Jasmine is the founder of Jasmine Flower Editing & Proofreading, a successful start-up editing firm and a collaborative partner of Klassy Editing & Writing Services. Most of Jasmine’s editing experience has been in the realm of academia; she is currently the sole editor and research assistant for a scholarly journal article, and for more than a year she has been involved in all steps of publishing a seminal labor history text of original research. She has also authored a groundbreaking paper of original historical research on a tangential topic that is set to be published independently. Jasmine has an extremely thorough understanding of the mechanics of language and an eagle eye for typos – it would be difficult to find a more meticulous editor/proofreader who is willing to spend as much time lovingly devoted to your manuscript as Jasmine is. 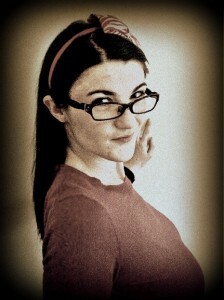 Jasmine will be editing both fiction and non-fiction with Klassy Editing and Writing Services.